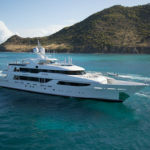 Luxury motor yachts – superyachts – represent the ultimate in sophistication, style, facilities and comfort. 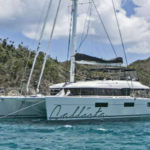 Here is a selection of just some of our recommended fully crewed motor yachts for charter this season in the Caribbean……there are more. 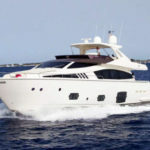 If would like us to put together a list of motor yachts especially for you please complete our YACHT CHARTER ENQUIRY form. 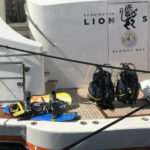 The yacht details and rates quoted are believed to be correct, but are not guaranteed. Please note: higher rates apply at peak periods such as Christmas and New Year. 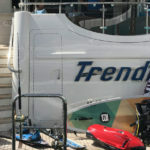 Special discounts are offered from time to time. 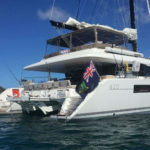 The Caribbean yacht charter season for most motor yachts runs from the end of November through to around the end of April. 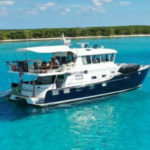 There are a small number of motor yachts based year-round in the Caribbean but most leave the area in March or April for a season of cruising in the Bahamas, the Mediterranean or New England – we will be very pleased to help you charter in one of these areas too. 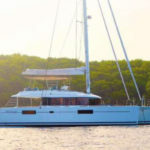 The charter rates quoted are for one week (seven nights). 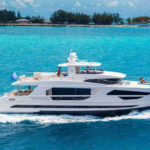 Expenses to cover food, beverages and bar, fuel for motoring etc are an extra cost for most motor yachts listed and are added to the charter cost.